Swimming Pool: can compliance and aesthetics be friends? Pool compliance is the single most critical part of any new pool or pool renovation project with safety as the number one priority. 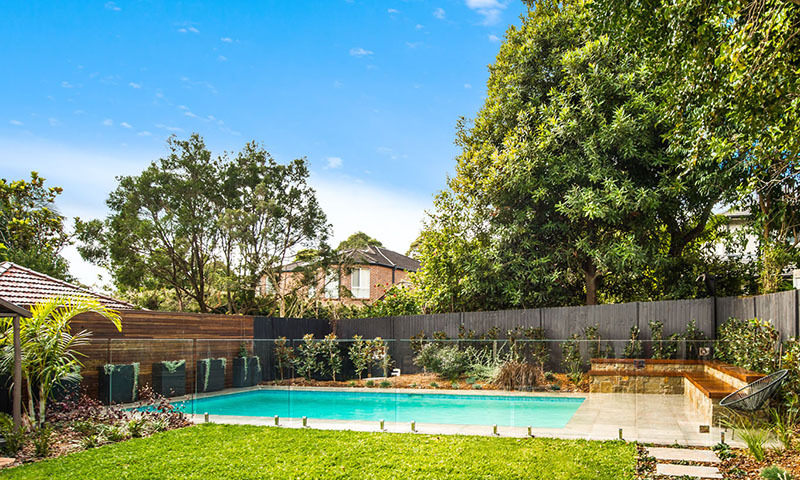 Council laws across Australia requiring many property owners to have pool fences — even if retrospectively installed — the balance between legal compliance and great landscape design is becoming increasingly difficult to strike. And it’s important to get it right. Aesthetically, although the pool design is very important to the overall aesthetics of the landscape, it so often the surrounding landscape, architecture and design features that make the pool even more special. The type of fence you use is important, but even more important is how you integrate that fence into the landscape. Depending on the individual property style, glass is usually a pretty safe bet. When out in the open, glass is the most seamless and can disappear into a landscape more than other materials. Durability is also an important consideration, with glass also being a top contender when it comes to low maintenance and repairs. However, glass will cost more than a standard aluminium fence. If there’s a large area to do, you might consider choosing a powder-coated aluminium. Go for a black colour as it disappears more than green if it’s up against plants. Try to avoid red, cream or lighter colour fences as they stand out more. Consider the landscaping surrounding the pool. It’s important to have a balance of planting, paved areas and or decking so that the landscaping and pool complement each other. With clever design, the pool fence or barrier can become a striking design feature that is a talking point of your design. While it might cost a bit more up-front to ensure that compliance and design both come out on top, the initial outlay is often worth it in the long term. 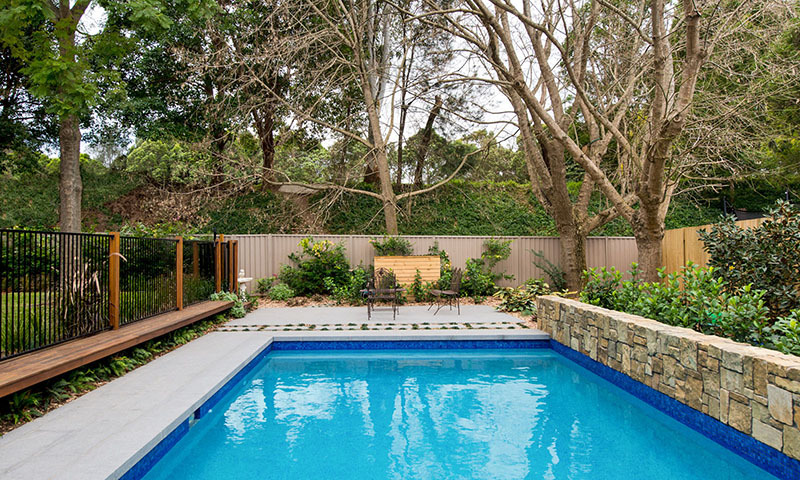 For more pool design ideas check out our completed pool and landscape projects. Also stay tuned for our gallery will soon be updated with pool and landscape projects we have completed over the past 18 months. If you’re after some design tips or want to bounce ideas for your project, don’t hesitate to contact us.